The Food & Drug Administration (FDA) is tasked with ensuring the safety and efficacy of medical products sold in the United States. In addition to medications and medical devices, the FDA has jurisdiction over veterinary drugs, food, biological products, cosmetics and radiation emitting devices. Among other things, the agency must review all prescription drugs and medical devices before they can be legally sold in this country. The FDA also monitors medical products after they have been cleared for sale in order to identify unexpected complications that could put consumers at risk for serious adverse events. Phase I Clinical Trials: These studies are conducted using a small number of healthy volunteers. The aims of Phase I trials are to determine the mechanism by which a medication is metabolized and excreted, and to identify its most frequent side effects. Phase II Clinical Trials: Phase II studies look at the effectiveness of the medication in treating the targeted disease or disorder. Patients receiving the experimental drug are compared with similar patients receiving a either a placebo or a different drug. As many as 300 patients may be enrolled in a Phase II trial. Phase III Clinical Trials: The goal of a Phase II study is to obtain more detailed information about a medication, including its effects on different patient populations and at differing dosages. The number of subjects enrolled in a Phase III trial can range from several hundred up to 3,000. Once all three Phases are successfully completed, the drug maker will submit a New Drug Application (NDA) to the FDA. The CDER expects to act on most standard NDA’s within 10 months. However, the goal for priority drugs is six months. In certain approvals, the FDA may require a manufacturer to conduct a Phase IV post-marketing study to address potential concerns over a drug’s safety, effectiveness or cost. Class I Devices: These are devices that pose minimal risk to patients, such as tongue depressors and bandages. Class II Devices: This category includes products that are more complicated in design than Class I devices, but which still pose a minimal risk to patients. Examples of Class II devices include electric wheelchairs and X-ray machines. According to the FDA, the majority of marketed devices – 43% – fall into this category. Class III Devices: These are products that have the greatest potential to harm patients. Examples of Class III medical devices include implanted pacemakers and heart valves. Class III medical devices are subjected to the FDA’s most stringent approval process. Before such a product can come to market, a device manufacturer must provide ample clinical evidence that it is both safe and effective. In certain instances, the FDA may allow a device to undergo its 510(K) clearance process, which does not require any pre-clinical testing at all. A device is eligible for this process if a manufacturer can show that it is substantially equivalent in design to a product that had previously been approved by the FDA. However, the 510(k) system is controversial, as critics claim certain devices cleared in this manner – including transvaginal mesh and metal-on-metal hip implants – have caused significant harm to thousands of patients. If you have been affected you may be able to file a case. Unfortunately, the FDA’s system for clearing new drugs or medical device for sale does not always identify all of the risks associated with a product. For that reason, the FDA continues to monitor the performance of medications and medical devices during their lifetime on the market. Among other things, the agency maintains the MedWatch program, which allows healthcare professionals, consumers, and patients to report adverse events they may have observed or experienced in relation to medical products regulated by the FDA, including drugs and devices. 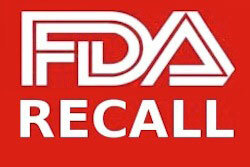 If any troubling trends are identified via the MedWatch program, the FDA has the power to issue safety alerts or order product recalls, withdrawals, or labeling changes in order to protect public health. Please continue to visit Injury Beacon for the latest news.